Blog » What am I entitled to if I separate from my spouse? What am I entitled to if I separate from my spouse? There are very few hard and fast rules and the Courts have ultimate discretion to make whatever order is ‘fair’ on the particular facts of your case. The starting position is an equal division of assets, which can include property, savings, investments, businesses and pensions. Orders can also be made to provide income to a party. There is a complete list of criteria that the Court’s should consider at Section 25 of the Matrimonial Causes Act 1973, but priority is given to the needs of any dependent children of the marriage, and meeting the needs of each party if it is possible to do so. Who decides how we split our money/assets? To begin with, you are free to agree how assets will be shared between you. This can be discussing things directly with one another, through solicitors, going to mediation, or a combination of all those things – whatever works best for you. In cases where you are able to agree, it is advisable to obtain an order by agreement. In the event that you are unable to agree then ultimately a Judge would decide at the end of court proceedings. Can I keep the family home or will it have to be sold? There are a number of options to consider, including selling the home, one of you buying the other out, or keeping it as it is and one of you continue to live in it (e.g. until children are 18/leave school). Much will depend on both of your needs and in particular to the needs of any children as to which of the above will be appropriate. Can my partner/husband/wife claim my inheritance? It depends on the facts in each particular case. If the needs of the parties, and any children, cannot be met otherwise, then it is likely to be included in the ‘pot’, whatever the origin. If inheritance was used some time before the separation (e.g. to buy or improve the family home or pay off the mortgage) then it is likely to be included. A future legacy can be included in the pot, but is a lot less common. To a large extent it is a question of achieving fairness overall. Will my new partner’s assets get referred to in the divorce? Both parties are obliged to be transparent as to their plans to remarry or cohabit, and if this is the case information you will be required at least providing basic details of assets and income of a new partner so it can be properly considered. The court will not make an order over assets solely belonging to another person not a party to the marriage, however they may be considered to the extent that the may help to meet the needs of a spouse, by contributing for example towards outgoings, and/or providing a place for them to live. 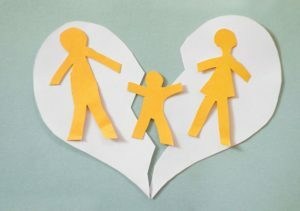 Should you wish to discuss further information about the divorce process in more depth please do not hesitate to contact Greg Cross in our Family Law team at Malton on 01653 600070. If one of our other offices is more convenient for you, please speak to a member of the Family Team – York 01904 624185, Selby 01757 708957 or Pickering 01751 472121.